Google has added to their growing portfolio of iPhone apps with the release of the Google Coordinates onto the App Store. Their Gmail, Chrome and Maps apps all managed to sky rocket directly to the number one spot in the download charts almost immediately after release, but it’s unlikely Coordinates will have the same global appeal due to the fact that it is entirely aimed at businesses who already subscribe to the Google Coordinate License scheme. The app itself has been pushed out as a mobile platform based workforce management tool that is clearly intended to allow management within businesses to get the most out of their teams who are out in the field. Companies all over the world currently make use of software that allows staff out in the field to be location-tracked as well as allowing the feeding back of information about what jobs they are assigned to and the progress of those individual jobs. The Maps Coordinate service is Google’s own answer to this kind of tracking functionality, with the new iPhone app taking things that little step further and putting it into the palm of our hand. Users can efficiently share real-time location data from within the app that allows management and administrators to leverage that information and easily see locations of their delegates on a map directly on the device. 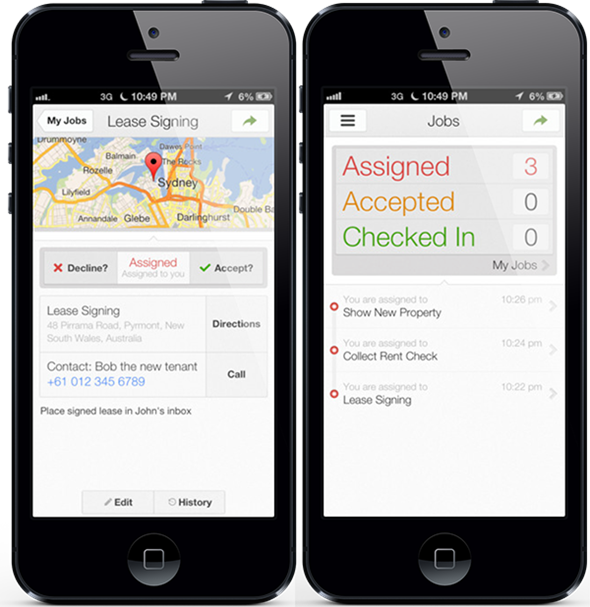 Job management is one of the large aspects of the Coordinates app and directly gives the ability to input required information into each job before assigning it directly to any team member who will receive an instant notification on their installed device. The app also has placeholders for field staff to capture data when out and about that could directly relate to the job, with the software being intelligent enough to allow headers and information fields to be edited to suit the data being collected. It may not be destined to be as popular as some of Google’s other iOS offerings but it certainly looks the same. Coordinates is yet another example of Google’s internal design decisions when it comes to their mobile apps and follows the same clean and clinical patterns that we have become used to recently.